Since its first edition in 1994, the ACRI conference (Cellular Automata for Research and Industry), focused on challenging problems and new research on Cellular Automata (CA). 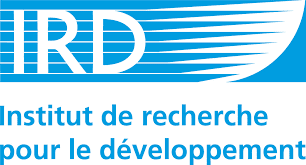 Its primary goal is to bring together researchers from a large variety of scientific fields in order to enforce international collaborations on Cellular Automata research as well as spread knowledge between experts in several scientific areas: pure and applied mathematics, computer science, physics, biology and mathematical systems theory. Cellular Automata are discrete, abstract computational systems that have proved useful both as general models of complexity and as simplified representations of non-linear dynamics in a large range of scientific areas. On one hand, CA present a very powerful approach for the study of complex emergent phenomena build up out of many simple local interactions. They attract a growing number of researchers willing to study pattern formation and complexity in a pure, abstract setting. On another hand, CA are often described as a counterpart to partial differential equations which conventionally constitute the basic models for spatiotemporal systems. Because of this, CA are very popular for studying real applications in the fields of physics, engineering, environmental science, social and life sciences. In the last decades, Cellular Automata have generated a great deal of interest both in academia and industry as they are attracting an increasing community of researchers working in different fields and dealing with theoretical aspects as well as practical applications. 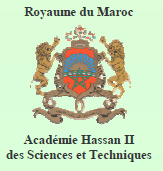 The conference ACRI 2016 which is organized by the University of Perpignan and the UMR ESPACE-DEV, associated to the Systems Theory Network (composed of ten Moroccan universities) will take place in Fez (Morocco), on September 05-08, 2016. 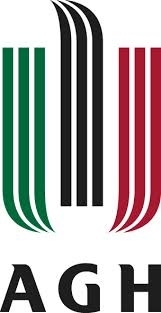 ACRI 2016 is the twelfth in a series of conferences inaugurated in 1994 in Rende, Italy, and followed by ACRI 1996 in Milan, Italy, ACRI 1998 in Trieste, Italy, ACRI 2000 in Karlsruhe, Germany, ACRI 2002 in Geneva, Switzerland, ACRI 2004 in Amsterdam, The Netherlands, ACRI 2006 in Perpignan, France, ACRI 2008 in Yokohama, Japan, ACRI 2010 in Ascoli Piceno, Italy, ACRI 2012 in Santorini, Grece and ACRI 2014 in Kraków, Poland. Bernard De Baets, Ghent University, Belgium. Bastien Chopard, University of Geneva, Switzerland. Laurent Lefèvre, Grenoble INP ESISAR, Valence, France. Anna Lawniczak, Guelph University, Canada. Raul Rechtman, National Autonomous University of Mexico, Mexico (canceled). This 12th edition of ACRI Conference aims at enlarging the classical topics to include other areas related to or extending Cellular Automata. This will offer a larger community the opportunity to discuss their work in various related fields as for instance: complex networks, games on networks, lattice gas and lattice Boltzmann models, bio-inspired computing, agent-based models, etc.